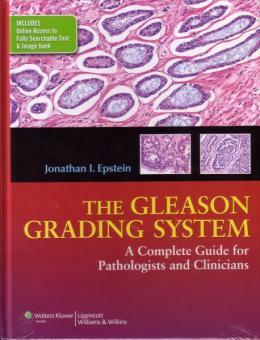 The Gleason Grading System: A Complete Guide for Pathologists and Clinicians provides exhaustive coverage of the updated Gleason Grading System, which deals not only with pathology but also with the associated clinical correlations and prognosis. The Gleason Grading System is the most important prognostic marker of prostate cancer, which is critical to patient management and drives therapies across all disciplines dealing with prostate cancer. In addition to an extensive number of photographs, this book discusses in detail clinically related issues that are crucial for the urologist, radiotherapist, and oncologist to know, such as predicting upgrading and downgrading from needle biopsy to radical prostatectomy, risk of Gleason grading change over time, significance of tertiary grade patterns, and prognosis and implications related to various Gleason scores and different therapies. Images that were particularly difficult for contributing pathologists sent in for consultation are used in addition to classic examples, as these cases are the most informative in showing the difficulties with Gleason grading. This book is a valuable tool not only for surgical pathologists from the resident level to seasoned practitioners but also for urology residents, urologists, medical oncologists, and radiation oncologists.